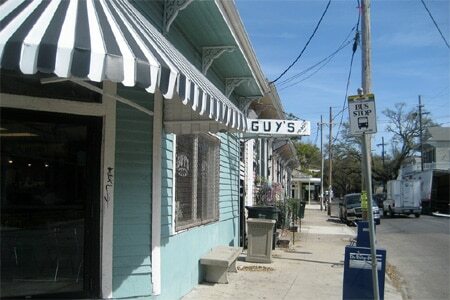 : Guy's roast beef po' boy is worth writing home about. And the "debris cheese fries"? Well, you haven't had fries until you've enjoyed these. The important thing is that proprietor Marvin Matherne is behind the counter and in charge of the griddle. Choices include grilled shrimp (tossed around with Cajun-Creole spices), fried potato with gravy, and fried catfish, just to name some of the favorites. Ham po' boys come cold or grilled, and both are first-rate. Always check out the specials board, and if Matherne cooked up a pot of white beans that morning, look no further. All you need to complete the experience is a Barq's root beer and a buttery praline. Be aware that you'll need to bring cash.